Tonight I attended a “Goodbye Tour” concert by Glen Campbell. I always loved hearing him sing…”Rhinestone Cowboy”, “By the Time I get to Phoenix”, “Galveston”, and so many more great songs. It only made sense for me to purchase a ticket and celebrate with one of my all-time favorite singers. A few years ago, Glen was diagnosed with Alzheimer’s disease and while at first his family tried to keep the illness private, his confusion and memory lapses became apparent to his audiences and fortunately the family made the critical public announcement. Watching him struggle to remember the words of his top songs, along with his awkwardness on the stage was painful and one might question “Why is he doing this?”–my reaction at first. But now that I am sitting here thinking with my fingers on the keyboard debriefing what I just experienced, I have a different reaction. Congratulations to Glen Campbell and his family for coming on stage one last tour, and letting his fans understand that aging and illness spares no one! No matter how big a star Glen Campbell once was, he, too, like the rest of us, is getting older and those things that once came so easy to him, are huge challenges for him today. His three children were part of the performance as they sang and played back up banjo, guitar and drums. Bless them! They were wonderful with their dad, quietly reminding him of the words throughout the performance. And there we were, a packed audience, on our feet, clapping, whistling and singing along with him to provide the support we felt he needed. I belted out a very good rendition of “Rhinestone Cowboy” if I do say so myself!! I remember Glen Campbell in a live concert many years ago when he entertained us with a strong, clear voice and sang song after song after song from the stage. He smiled the entire time and told a story or two between songs. And when the audience applauded at the end of the show, Glen came out and sang another 4-5 songs. That was then. This is now. Tonight, he didn’t tell us stories, and after 60 minutes it was clear, he was finished for the evening. Glen Campbell entertained me one last time on this “Goodbye Tour”, he entertained us as well as he could. We continue to hear ourselves say that we need to enjoy life while we can. We all know examples of people whose life has ended or changed drastically, and they can no longer do what they used to do. 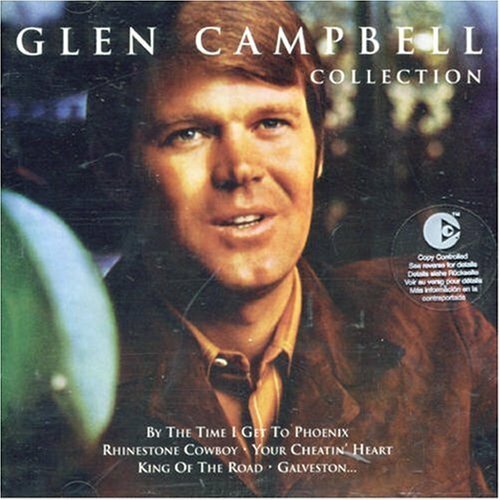 Glen Campbell left me with a strong message: Sing out loud while you can!